Feel the tension draining away. Far more than lightweight tinkles, these are sounds that can be used in some serious productions. 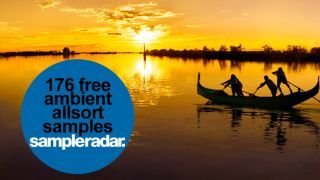 The ambient allsort samples are divided into four folders: Analog loops, Lengthwise loops, Processed vox and whisper sessions and Spherical loops. The ambient allsort samples are supplied in a zip file, so you'll need to extract them before you can see them. Enjoy!